It’s that time of year again. It’s back to school time, which means it is time to buy school supplies. 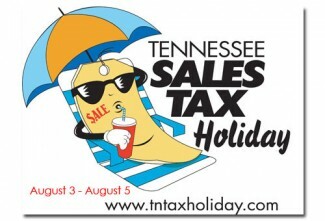 Thankfully, our fine State of TN has a sales tax holiday to help us all save a few bucks. This year’s Sales Tax Holiday begins Friday, Aug 3rd at 12:01am and ends at 11:59 on Sunday, Aug 5th. For those of you without kids in school don’t stop reading yet. This holiday is not just for students. Clothing with a purchase price of $100 or less and used for normal wear is exempt from sales tax. Remember, this is not just for school uniforms or clothing for the kids. As long as the clothing is not used in a trade or business and the individual unit price is $100 or less, the purchase will be exempt from sales tax. Need a New Home Computer? This is one of the best opportunities during the year to buy a computer. If the purchase price of the computer is $1500 or less, the purchase will be exempt from sales tax. Once again, the computer does not need to be for students, but the computer cannot be used for business purposes. It’s a great time to buy a new home computer. Gather your student’s school supply list and hit the ground running. School supplies with a purchase price of $100 or less are exempt from sales tax. This $100 limit is not an aggregate limit but a per item limit. Also, note that anyone can purchase these supplies, so friends and grandparents are eligible to purchase these supplies. 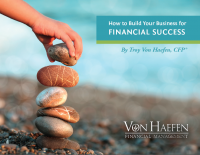 As a fee-only financial advisor, I am always looking for ways to assist my clients and improve their lives. While this simple Sales Tax Holiday is not a life changing affair, it can certainly save a few bucks. If you would like more information or would like to know understand more about The Tennessee Sales Tax Holiday click here. This entry was posted in Fee-Only Financial Planning, Financial Planning, Savings and tagged Fee-only Financial Planning. Bookmark the permalink.